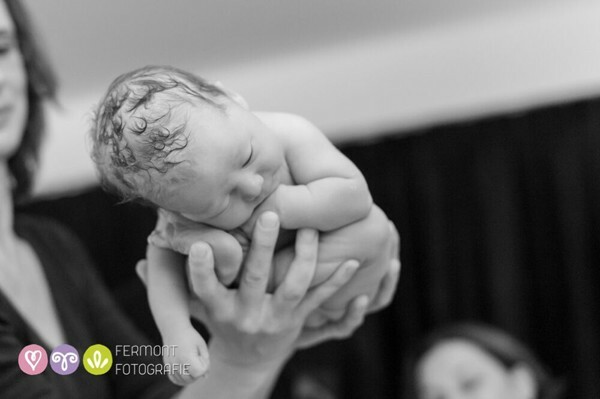 In those precious first few moments post-birth, this photographer manages to snap images that show just how these beautiful babies curled up inside their mothers. It gives a real world insight into another world entirely. Once we have our wriggly, newborn bundles in our arms, most of us ponder how on earth they managed to fit into our bellies. Their nine-month abode may as well be another planet, because just how these little creatures contorted into the womb is hard to fathom. 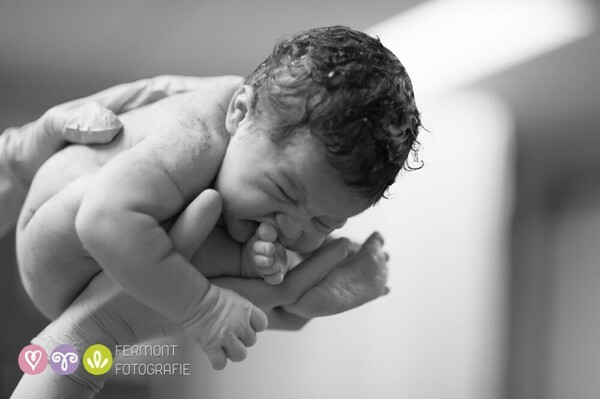 That’s why birth photographer Marry Fermont always tries to capture images like these, which show just how newborns curl up into their womb positions. The results are amazing. “It’s so hard to imagine that this perfect little human being was inside you,” the Netherlands-based photographer told TODAY Parents. Marry says when she documented her first birth, the midwife showed the new parents how their baby had been curled up inside the womb. 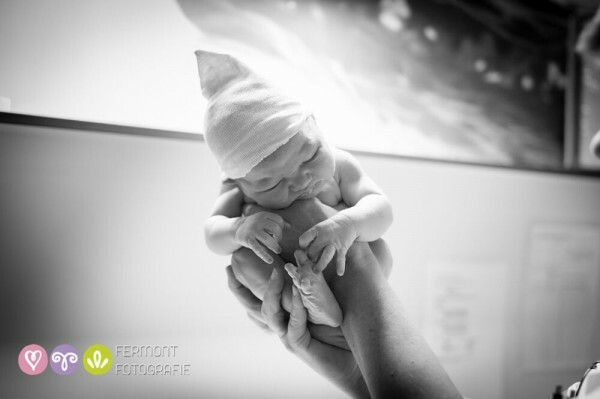 Now she makes a point of asking each midwife to show parents the same thing with their new babies, and she’s amassed a huge portfolio of these stunning images. She says she’s also managed to convince some dads to hold their babies for the photos. But Marry says there’s only a small amount of time that these photos are possible, and most of her tiny subjects tend to relax when placed back into the position they have been in for the past few weeks, in utero. When Marry became a mum in July this year, there was, of course, one image she was keen for her own birth photographer to snap. “I was so happy that my boyfriend Denny (pictured above) had no trouble holding our daughter this way. It was the best moment ever and I treasure this photo,” she says.